This week on Talking 80s Music, we talked with legendary producer and Alan Parsons Project mastermind Alan Parsons about his career, role as a producer and new DVD project. We also featured a retrospective mix, a live version of "Games People Play" and the beautiful "Old And Wise." If you haven't heard the group before, go out and listen to as much of their stuff that you can. They hit the ethereal, haunting, beautiful and dark while focusing on an overall theme for each album. 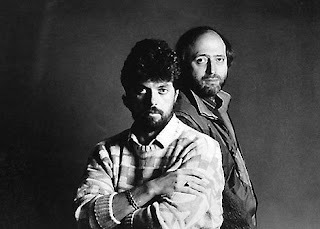 That Essential Alan Parsons Project collection can be found at Amazon.com. Tried out the newer software (vEmotion and Gizmo5) before starting the show and we had too many issues (for some reason no music tracks played through.) We decided to go back to what we know works already and not mess with things quite yet. Next week should be the first back-to-back interview episode for the show. Hopefully, more of those to come.